Looking for a bike for a short or long period?. At EasyFiets we can provide you with just the thing you need: a nice bike without the costly repairs. Small or big, back pedal or handbrakes. We will help you find the suitable bike for you. Problems with your bike? Come to our shop and we fix it. For free. Within 30 minutes, 7 days a week. If our red seats don’t make us stand out, our service will! Dutch back pedal brakes or handbrakes. Big or small bikes, we have it all. Sign up for a subscription and pay €10/€15 for the first month and €40/€60 deposit. Your bike will be fixed within 30 minutes or you can exchange it with another bike. Totally free. Don’t have an IBAN? You can also pay the whole lease period up front with Mastercard or VISA. Every bike is equipped with lights, a bell and an Axa Defender, the best lock on the market. We can also provide you with a chain for just €15. Cycle even more care-free? 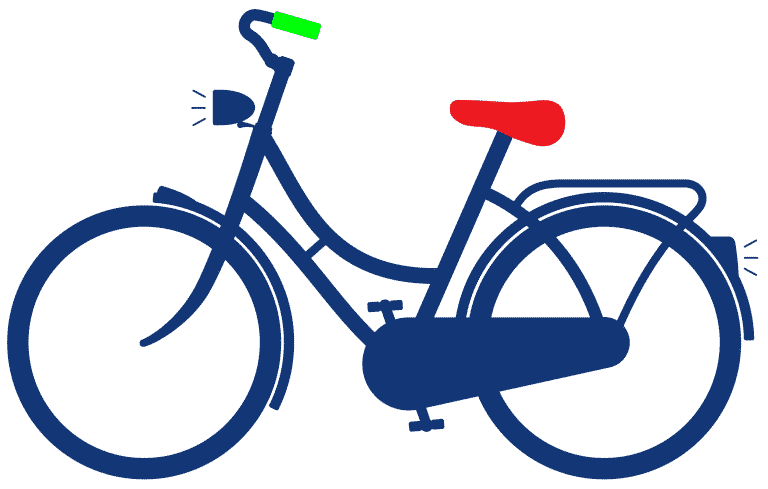 Insure your bike against theft for just €2 a month. If you lose your bike while it was locked, you won’t lose the deposit. Having friends or family over? Get them on a bike as well. As a customer you get 20% discount on our rental bikes. A perfect way to let everyone see how you live your life in Holland. What happens when my bike breaks down? In that case you can come by and we will fix your bike on the spot within 30 minutes. Otherwise we will change your bike with another one that has your preference. What happens when my bike gets stolen? In that case you can visit us and hand in your keys. We will hold your old deposit as compensation and when you pay a new deposit you can choose another bike of your preference. You can either do a monthly payment (IBAN required) or pay the whole lease up front using Mastercard or VISA. When you pick up your bike you can pay using cash, pin or Mastercard/VISA. What kind of bike can I expect? 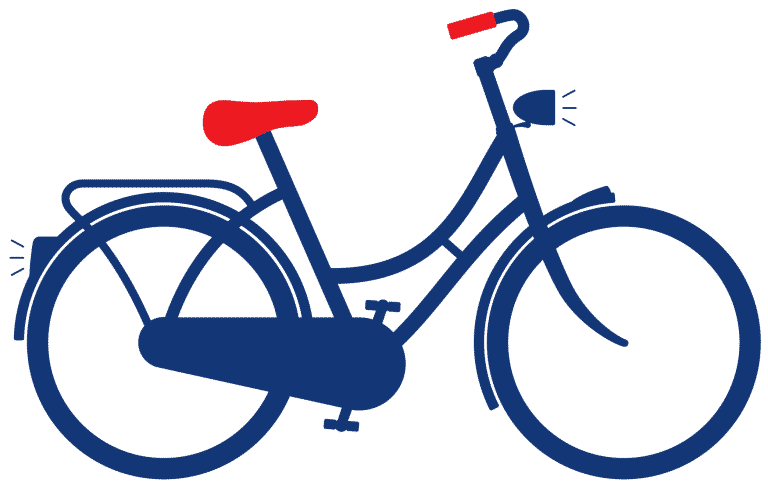 At EasyFiets we use second-hand bikes. These bikes are provided with a strong lock, lights & bright red seats and handlebars. This is why we have a lot of different bikes to choose from with pedal brakes, handbrakes, gears, big or small, etc.